Why Are So Many Bee Colonies Dying Off In Europe? We know that honeybee dieoffs have been a problem in America, but what about their European cousins? A new report takes the first comprehensive look at just what is happening to the bee colonies in Europe — and the news is very bad indeed. 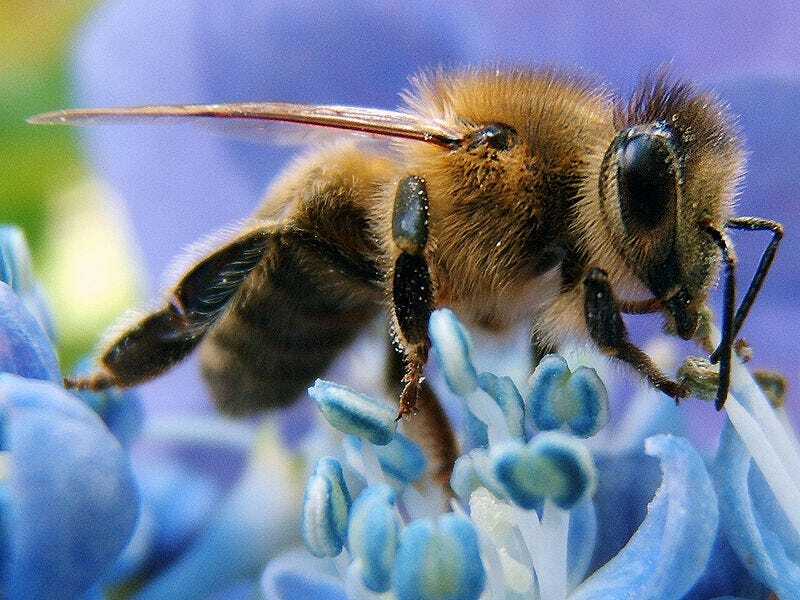 A report from the European Union's Reference Laboratory put together an epidemiological survey of honeybee colony mortality across 17 member states, looking at over 30,000 colonies to measure just how many of those colonies were being wiped out. Some colony death is, of course, anticipated every year. Just what is an acceptable rate of winter bee die-off is up for debate, and different countries have different standards. In Europe, 10% is regarded as acceptable; in America, 15%. But in Europe, up to one-third of all colonies have been dying off in a single winter, and nobody is arguing that's anything but alarming. Countries including Belgium, the U.K., and Sweden all experienced this elevated rate of die-offs among honeybee colonies in the winter of 2013. The next study, say scientists, will focus on looking at what factors are causing the colonies to die off. You can check out the full report right here.